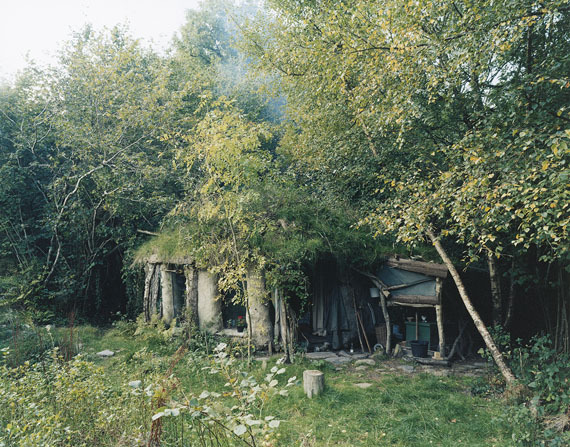 David Spero‘s "Settlements" draw the portrait of a few communities in Britain that have chosen to partially separate and live in parallel from so-called mainstream society out of ecological considerations. Spero uses documentary-style imagery to illustrate the creative potential and pioneering spirit displayed by these groups on their quest for new, alternative modes of existence. 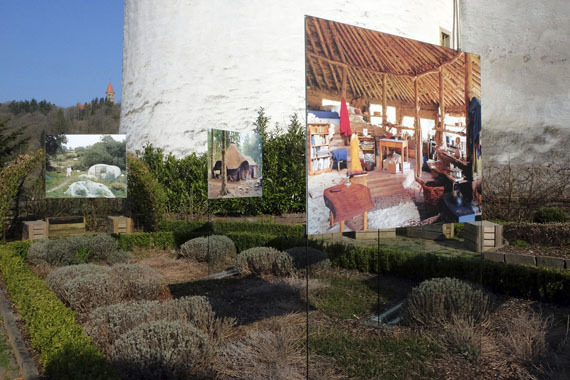 His work shows homemade houses and their inhabitants, as well as the gardens that allow them to support themselves and ensure their autonomy. This rejection of the current, globalized social trends is not an act of defiance or based on an anarchist stance towards society. Rather, these new settlements want to challenge our responsibility towards nature. Perhaps we should not hand all of it over to political systems. 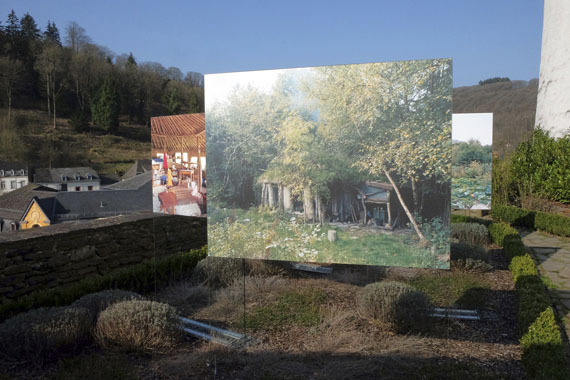 In his work, David Spero shows subsistence models carried by personal initiative and collective consciousness. He tells the story of a few small groups who have made it their mission to prioritize the low-impact management, optimal restoration and long-term protection of the natural resources at our disposal. 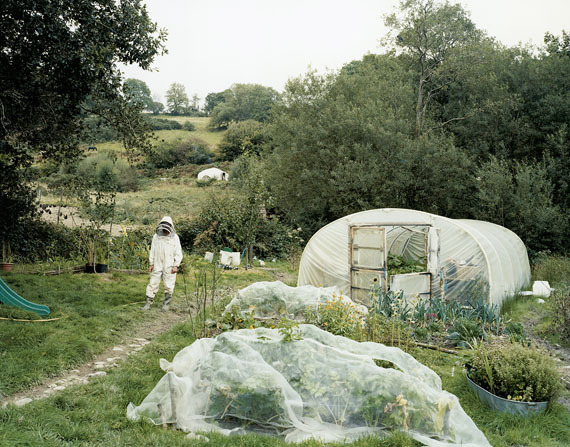 David Spero was born in 1963, studied photography at the Royal College of Art, London and has since worked on a number of interconnected photographic projects. His work is in numerous collections, including the Victoria & Albert Museum and British Council. David Speros "Settlements" – Siedlungen – zeichnen das Portrait einzelner Gemeinschaften in Großbritannien, die sich aus ökologischen Überlegungen heraus, von der sogenannten Mainstreamgesellschaft teilweise abspalten. In dokumentarischer Bildsprache veranschaulicht Spero das kreative Potential und den Pioniergeist dieser Gruppierungen auf der Suche nach neuen, alternativen Wegen der Existenz. In seiner Fotoarbeit zeigt er selbstgebaute Häuser, die Bewohner und die zur Selbstversorgung und autonomen Erhaltung angelegten Gärten. Die Ablehnung der aktuellen, globalisierten sozialen Tendenzen, beruht nicht auf einer Trotzreaktion, oder einer anarchistischen Haltung gegenüber der Allgemeinheit. Hintergrund dieser neuen Siedlungen ist eher die Forderung nach der Verantwortung des Menschen gegenüber der Natur. Vielleicht sollte diese Verantwortung nicht hauptsächlich an politische Systeme übergeben werden. David Spero wurde 1963 geboren, studierte Fotografie am Royal College of Art in London und arbeitete seitdem an einer Reihe miteinander verbundener fotografischer Projekte. Seine Werke befinden sich in zahlreichen Sammlungen, darunter dem Victoria & Albert Museum und dem British Council.